*Signed by the author* Nationally known corporate historian Russ Banham worked closely with past and current Boeing archivists and leaders to develop this fascinating new history of The Boeing Company just in time for the company’s centennial in 2016. This gorgeous book is filled with inside stories and rare photographs detailing the history of the companies that make up today’s Boeing-including Douglas, Hughes, McDonnell, North American Aviation, and more-and how they transformed the world we live in. 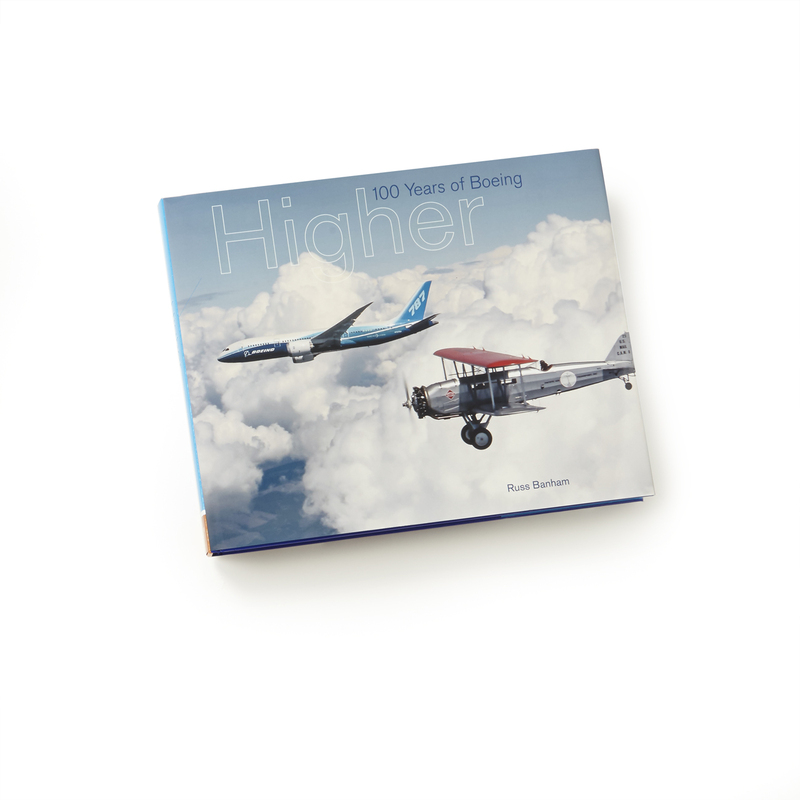 Available only from the Boeing Store, the deluxe edition contains 64 pages of rare photographs not included in the standard retail edition and includes a special dust jacket and slipcase. Hardcover with full-color and black-and-white photographs. 256 pages. Measures 9.8″H x 12.5″L x 1″D. Printed in U.S.A.